The concept of the meal kit allows the consumer to create a restaurant quality meal at home with an easy-to-follow recipe and relevant spices. 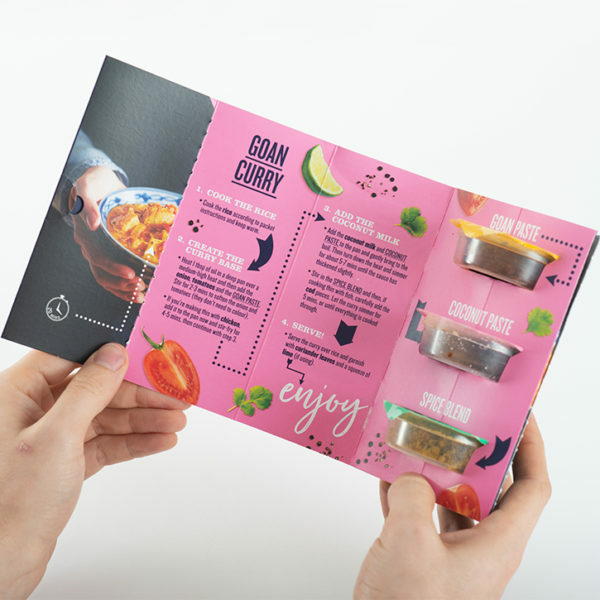 The concept encourages the consumer to purchase and cook using fresh ingredients and ultimately contributes to the reduction of the black plastic trays containing ready meal options. 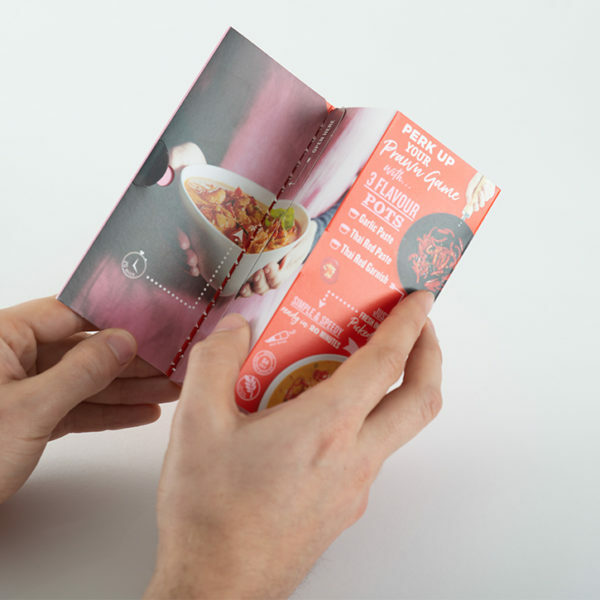 Each stage of the user experience has been considered in the design, from positioning the disruptive stands in the fresh food aisles to sit alongside key ingredients, through multi-layered packaging that unfolds like a recipe book. The design of the pack needed to be vibrant and modern but in keeping with the well known e-commerce brand. The design challenge was to bring the experience to life through packaging. The structural solution stands upright and confident, delivering shelf impact and a post-purchase experience that takes the consumers on a journey of discovery. It was the first step into the retail sector so for the brand owners the design was fundamental in their growth plans. The pack needed to be highly functional yet different to its competitors. To achieve the desired pack format specialist folding and gluing equipment were required to achieve the book style pack. A major challenge was to combine all of these features with a pack that could be filled before the final closure. 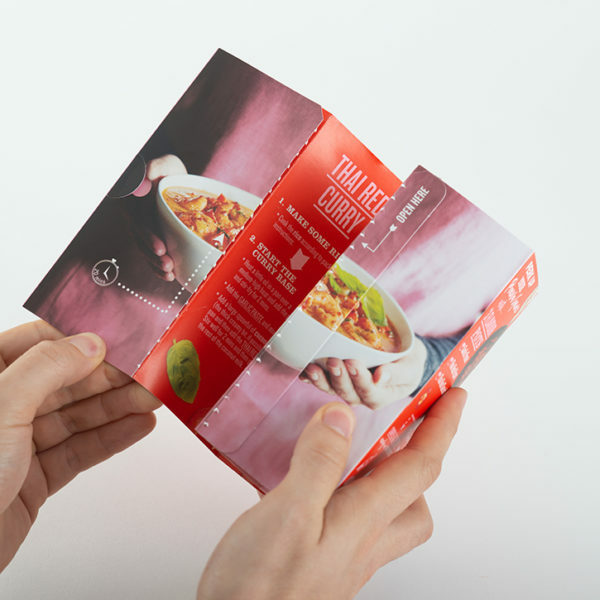 Structurally, the pack gives the consumer the opportunity to reveal an image of the finished dish along with the required ingredients for that recipe. After purchase the tear strip opening illustrates the easy step recipe and the pots containing the spices. The material used for the pack is fully recyclable with a minimal use of plastic for the spice pots. Working across all its divisions, the Alexir Partnership were able to offer design, production of the packaging and also the packing.